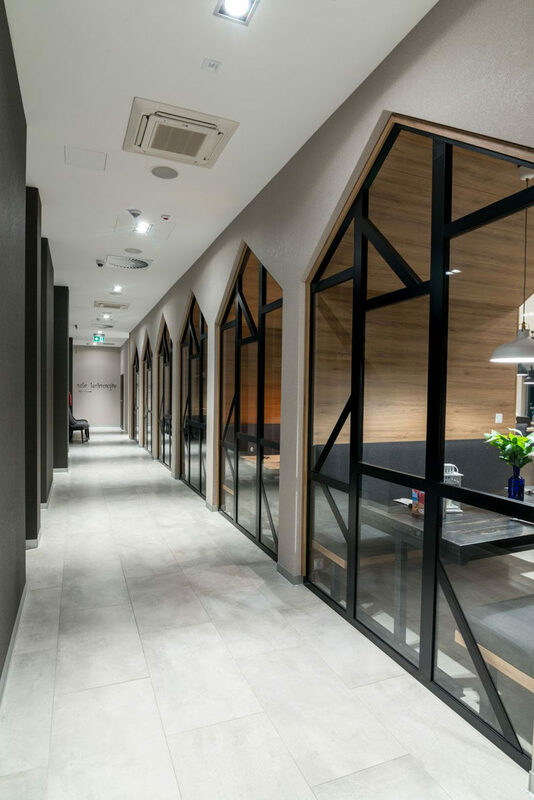 Architecture firm Tremend, have recently completed the Ibis Styles Grudziadz Hotel that’s located in the Old Town area of Grudziadz, Poland. “We like it when our projects are firmly embedded in local realities. 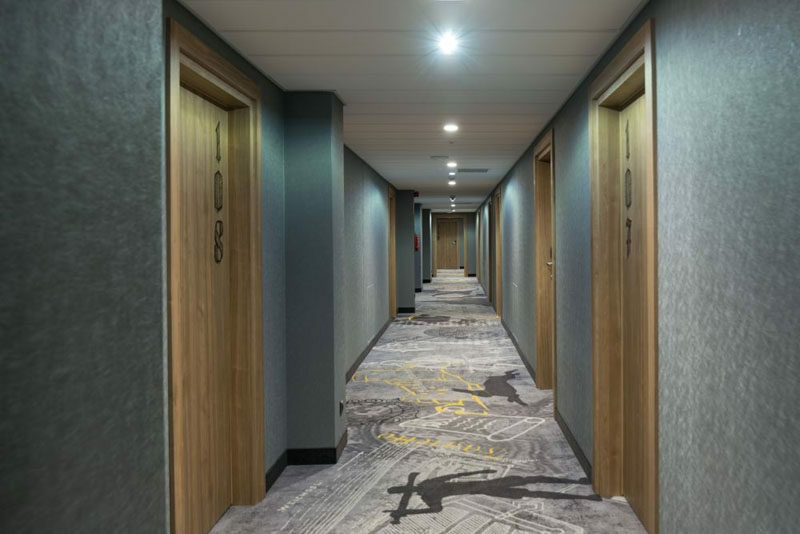 References to the history and traditions of a given place make our hotels have a unique context and unique colour” – says Magdalena Federowicz-Boule, president of the Tremend brand. 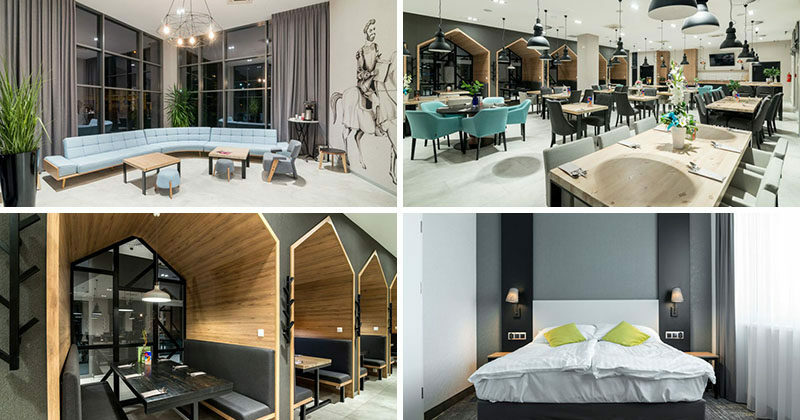 Inspired by the times of knights’ tournaments, boisterous feasts and romantic ballads, the interior of the Ibis Styles Grudziadz Hotel is combination of the city’s centuries-old heritage and modernity. 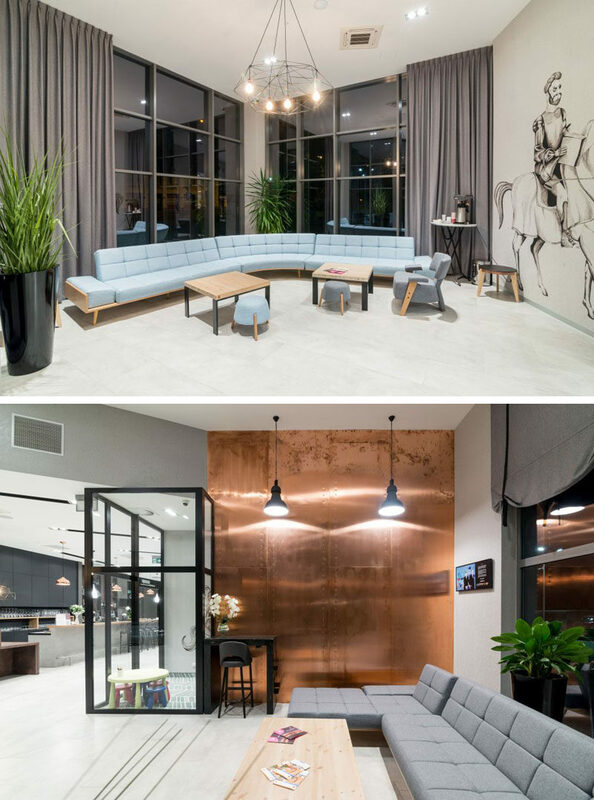 Stepping inside the hotel, there’s a lounge area in the lobby with a copper accent wall and a large mural of a knight riding a horse, while behind the reception desk, the city skyline is highlighted in white. A second knight mural is located in a small children’s play area opposite the reception desk, which has a pattern reminiscent of chain mail. In the restaurant, long wooden tables and modern chandeliers bring to mind the atmosphere of a castle’s banquet room. Along one side of the restaurant are wood lined dining alcoves with banquette seating and black framed windows that look out into the hallway. Here’s the view of the dining alcoves from the hallway that show the pattern of the black window frames. In the hallways on the various floors of the hotel, carpet with knights, scrolls and other motifs lead you to the rooms. 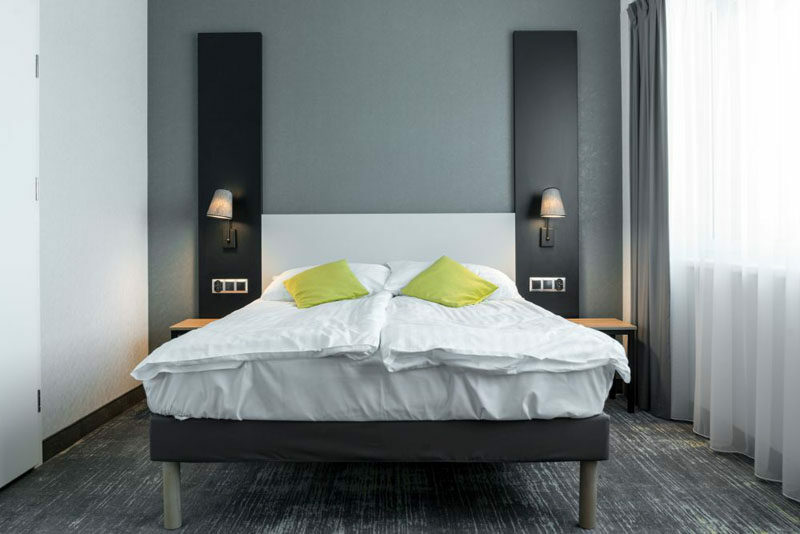 In the hotel rooms, a simple color palette of greys, blacks and white keep the rooms contemporary and timeless.